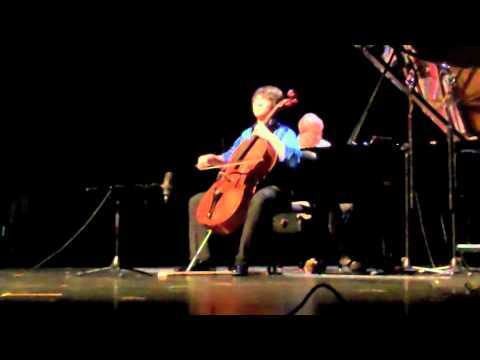 Aaron Bigeleisen performed most recently on Show 254, recorded in May 2012, at age 17. 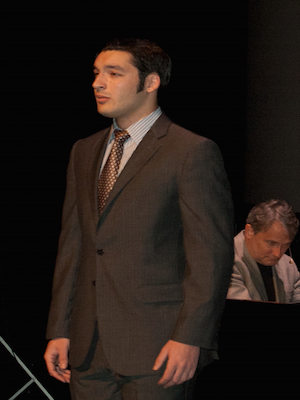 Aaron Bigeleisen (baritone), 17, is from Pittsford, New York where he attends McQuaid Jesuit High School. He studies music with Richard Cowan at Carnegie Mellon University, with Robert Swenson at Eastman School of Music, and with Cantor Ira Bigeleisen at Temple Adath Ari El. An avid athlete as well as a performer, he also studies guitar and piano.